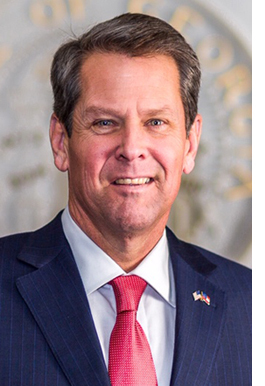 On November 6, 2018, he was elected as Georgia's 83rd Governor, earning more votes than any gubernatorial candidate in state history. As Governor, Brian Kemp will fight to make Georgia #1 for small business through regulatory reform. He will ensure that all parts of our state - including rural Georgia – have opportunities to grow and thrive. Kemp will fundamentally reform state government, keep our families safe, and always put hardworking Georgians first.